When you purchase a pup from Black Point; You’ll get an exceptionally well bred pup with brains, tremendous natural ability, and a great nose. Most of our pups, when given a legitimate opportunity, have turned out to be outstanding gundogs. Pups are priced at $650 for males and $700 for females. Beagle pups $300.00 and up. Dixi is a testament to our breeding program. She is a pup out of Thor & Tilli. 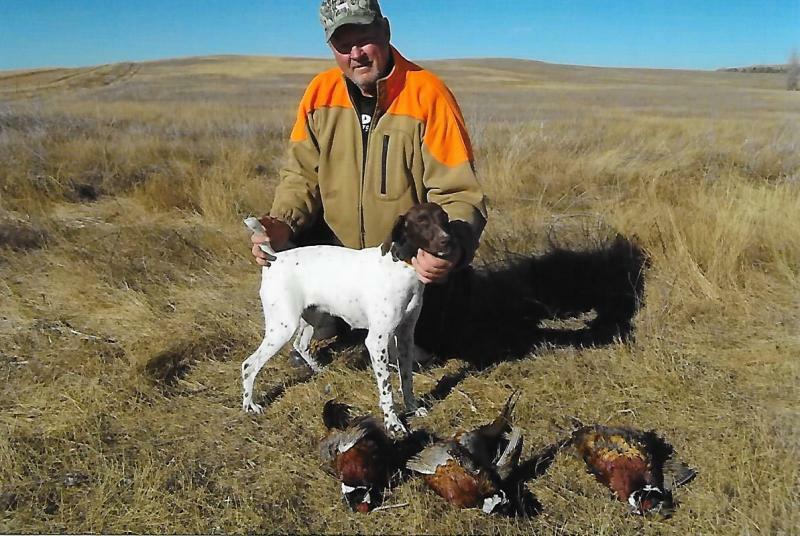 This is Dixi at just over one year old on her first trip to North Dakota. This limit of wild roosters is a result of the first 1 1/2 hrs. of her first wild hunting experience. I have great expectations that she will turn out to be the best female I have ever owned. "Black Point Mitzi ﻿" - A tremendous young pup out of Hawkeye and Mayzi. 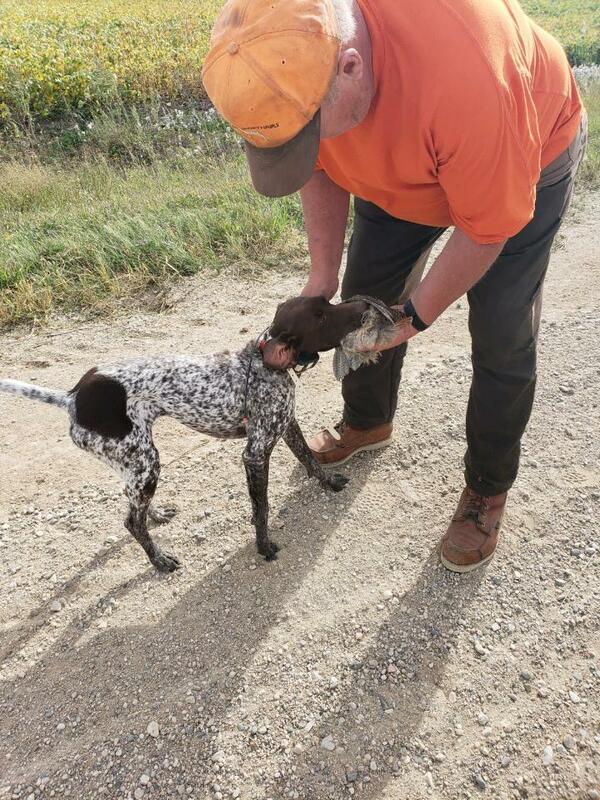 This is Mitzi at 7 months old retrieving a hungarian partridge shot out of the first covey she ever pointed! 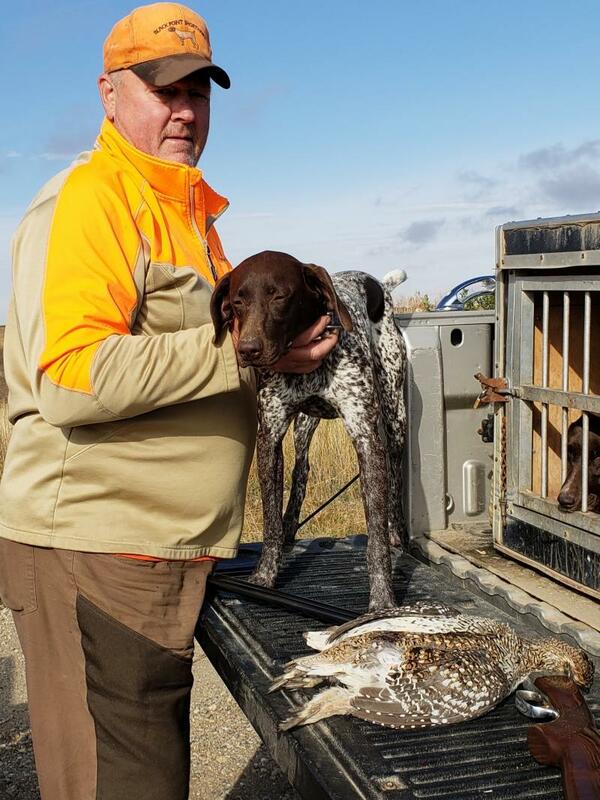 ﻿﻿A double of sharptail grouse shot out of covey of 8 pointed by Mitzi 7 months old!